Start your day with the colorful style of the Paul Smith™ Bono Stripe Socks. Striped pattern throughout for the colorful day ahead of you! Reinforced toe for long wear. 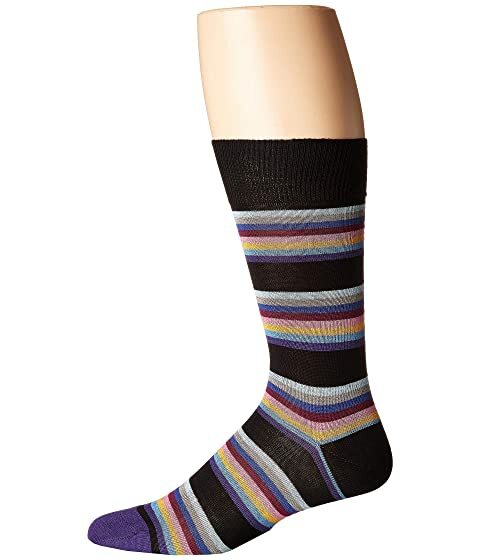 We can't currently find any similar items for the Bono Stripe Socks by Paul Smith. Sorry!